Beautiful Give Away! 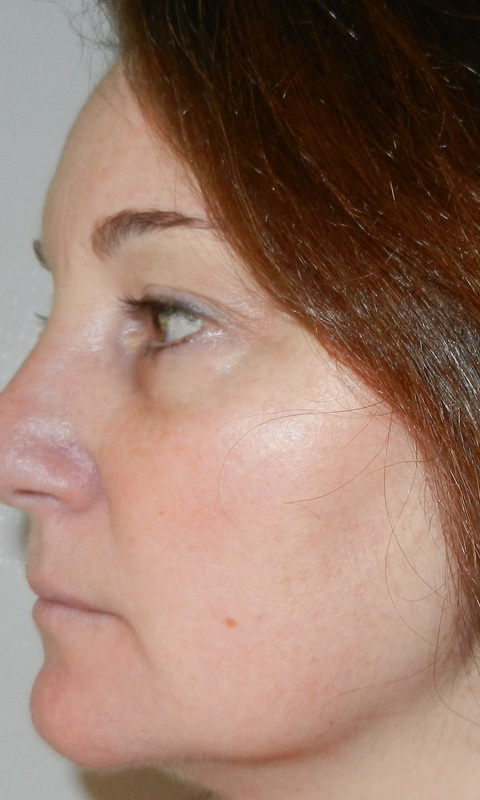 NeriumAD Age-Defying Treatment for fresh, youthful looking skin! - Susan Said... WHAT?! I am going on the record right now to say that I will never get Botox. No judgment, you understand. It’s simply that I don’t like pain! Since the needle is out for me, I have to rely on modern scientific advances to keep my skin looking as youthful as possible. I already have several favorite daytime skin creams like Therderm and Dieci Colori. But, since I am over 40, I also need an intensive nighttime cream. Like you, I’ve been hearing the buzz about NeriumAD Age-Defying Treatment. After seeing the “Before” and “After” shots in the Results Gallery, I was cautiously optimistic. 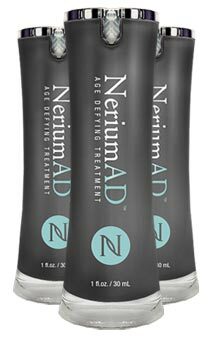 NeriumAD Age-Defying Treatment is a night cream developed from the patent-pending extract of the Nerium oleander plant. It contains age-defying ingredients, specifically chosen for both their individual and synergistic benefits. I got NeriumAD Age-Defying Treatment a month ago and have been using it religiously ever since. It’s a simple, one step process: After cleansing your face thoroughly, immediately apply a thin layer (4-5 pumps) to face and neck. Apply to slightly damp skin for optimal absorption. According to NeriumAD, “this is a treatment; therefore, skin will feel a bit more tight and dry than it would with a typical face cream,” which I must say is true. It took a little getting used to because the cream is more the consistency of caulk than face cream (although caulking in my wrinkles doesn’t sound half bad!). Then, rinse face the following morning. The results? Take a look at my very own “Before” and “After” shots below! 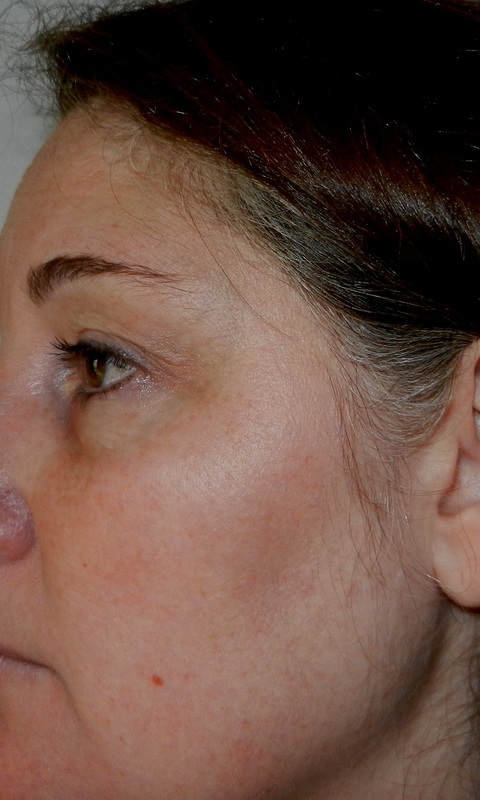 NeriumAD really does plump up the skin, eliminate fine lines and wrinkles, and give skin a much more youthful appearance. Really, the only negative was the scent. I happen to be very sensitive to scents, and it was not unpleasant, but took some getting used too – a little like a new perfume. You can also take advantage of the 3UR Free program. Simply refer three Preferred Customers to NeriumAD Auto-Delivery, and you’ll get your next month’s product free! To learn more, visit www.wonderfulskincare.nerium.com. Want to try NeriumAD Age-Defying Treatment for yourself? Nerium has graciously sponsored a giveaway of a month’s supply of NeriumAD, valued at $110! Separator image Posted in WOMEN'S HEALTH & BEAUTY and tagged with NeriumAD Age Defying Treatment, skincare, Susan Said What?!. Oh wow, what great results. Thanks for the review and the wonderful giveaway. I need this! Lol. I have tried a lot of different products for overnight… this really, truly works! Good luck!